This is a Sample. 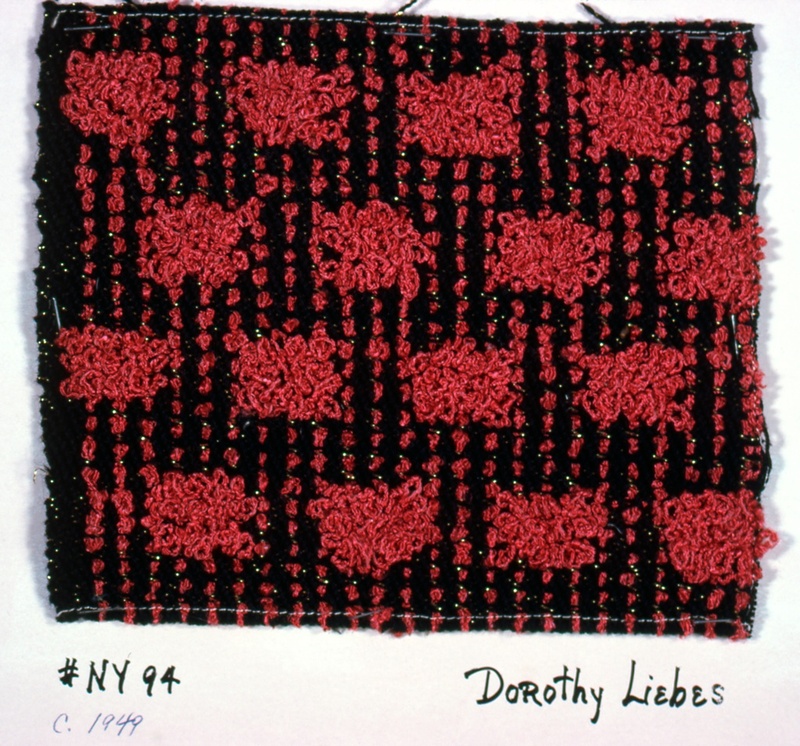 It was designed by Dorothy Wright Liebes and woven by Dorothy Wright Liebes. It is dated ca. 1949 and we acquired it in 1972. Its medium is cotton and synthetic fiber and its technique is 2/2 twill woven with supplementary warp. It is a part of the Textiles department. This object was featured in our Object of the Day series in a post titled Color in Combination.